I would like to express my gratitude through your columns, if I may. 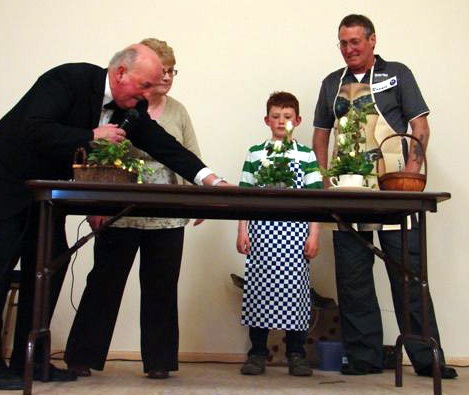 Our recent Generation Game, on Saturday the 9th of May, in the new Mey hall, was a great success. AI Willie aka 'Brucie' and his lovely wife Glynis, delivered an astounding performance and did us all proud as always. Thank you to you both for your endless support and enthusiasm. Thank you to all the contestants who took part, all were fantastic sports - Ronnie McGregor and grandson Ben, Maranda Thomson and son JamieD, Graham Winkle and son Jordan and Claire Clark with son Callum, Claire and Callum went on to the finale with Ronnie and Ben, who eventually won. Graham's highland dancing had to be seen to be believed, Ronnie's attempts at kuk sool were laugh out loud hilarious and Maranda's line dancing routine had the audience in stitch's. Claire was too young to remember the original Generation Game, so had no idea what she was letting herself in for, however got into the spirit of it all from the onset. Thank you also to the many people who came to demonstrate their skills - Karen and Erin from Scottish Casualties Network, Ailsa, Megan, Kathleen, Alison and Mina herself from Mina Mackay's School of Dance, Marion Gordon and her assistant Caroline for the flower arranging, Katrina and Cathy from Caithness Kuk Sool, Ashley and Gemma from Thurso Junior Pipe Band and finally, Wilma, Helen and Isobel from Caithness Kickers, hope you all enjoyed yourselves as much as we all did. Last but certainly by no means least, our local community for supporting us once again, the parents and family members who helped or donated any items on the evening and of course the kids themselves. We raised a little over £200 profit which will go towards our much needed funds for the school. It's Crossroads Schools 40th anniversary this year where we hope to hold numerous events over the course of the next few months, culminating in a buffet dance in October in the Mey Hall to Whisky, tickets will be on sale soon.